After long negotiations, the Canadian Government agreed earlier this year that the country’s current copyright term will be extended by 20 years. This change was part of the trade deal negotiations with the US and Mexico. By extending copyright protection to life plus 70 years, ‘rightsholders’ will be able to generate more profit, the argument goes. While that may work in theory, Canadian singer Bryan Adams believes that large intermediaries such as the major record labels will benefit the most. Creators often sign away their rights early on, which means that they don’t benefit from any extensions. In a brief to the Standing Committee on Canadian Heritage, Adams notes that copyright law is out of balance. As such, large companies stand to benefit more from a copyright extension than individual creators. One of the problems, according to Adams, is the fact that intermediaries hold the bigger bargaining chip. Creators who want to earn a living may sign away their rights in their first deal, something they may regret later on. 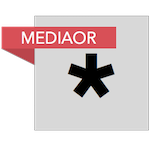 “Creators deal with one or few intermediaries; they sign up creators all the time. Creators striking a first deal sign anything that is presented to them; an intermediary rarely needs to sign up this creator,” Adams writes. The imbalance can be easily addressed, according to Adams. While it may be too late to revert the agreed copyright extension, there’s a change that will put more power in the hands of creators. And it only requires changing one word in the Copyright Act. Right now, Canadian copyright reverts to a creator’s heirs 25 years after “death.” By changing the word “death” to “assignment”, creators terminate a copyright assignment while they’re still alive. This means that the starting artists who signed away their rights to an album to a major label at 20 years of age, can get those rights back at 45. It’s a major change, but not unprecedented, as the US has a similar copyright-termination policy after 35 years. Adams already discussed the proposal earlier this year when he appeared before the Standing Committee on Canadian Heritage, but the brief he submitted discusses the advantages in great detail. Among other things, he stresses that the change in termination policy would empower creators, which will also be good in light of the planned copyright extension. “Including a termination right in Canadian copyright law would help to ensure that real world copyright law works more in favor of creators. It would also help reduce some of the unintended effects of the upcoming extension of copyright. “Canada is now more or less duty-bound to increase copyright protection by 20 years, to ‘life + 70’. 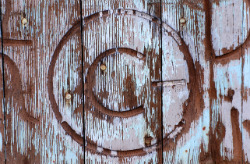 Extending the duration of copyright essentially enriches large firms of intermediaries. It does not put money in the pockets of most creators,” Adams notes. By granting a copyright termination right the expected benefits of an extension don’t go to the intermediaries. At the same time, creators will be able to profit more from their work. It’s a giant step forward and only requires changing a single word in the Copyright Act. A full copy of Adams’ brief, first highlighted by professor Michael Geist, is available here (pdf).